When The Border Is Just Next Door, Crossing It Is A Fact Of (Daily) Life The two Nogaleses — one in Arizona, the other in Mexico — are in separate countries, but to the people who live there, they feel like one place: a border city. 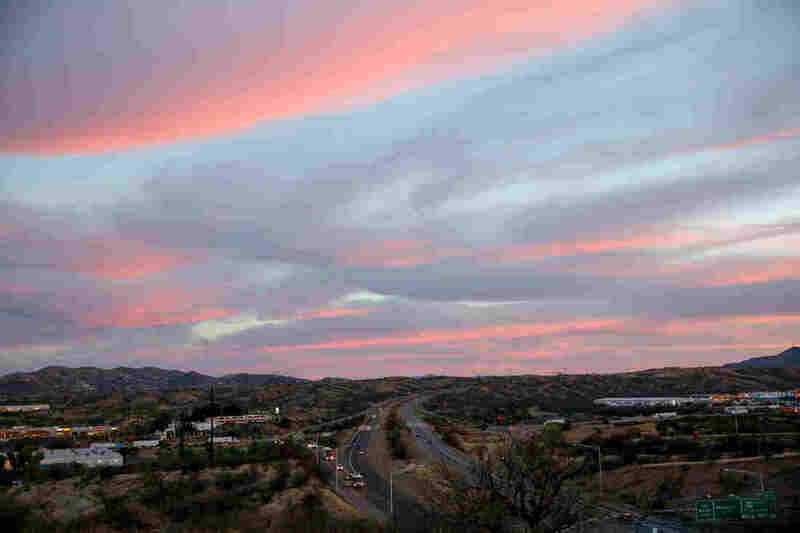 If you live in Nogales, Ariz., you're just a short walk from the border with Mexico. 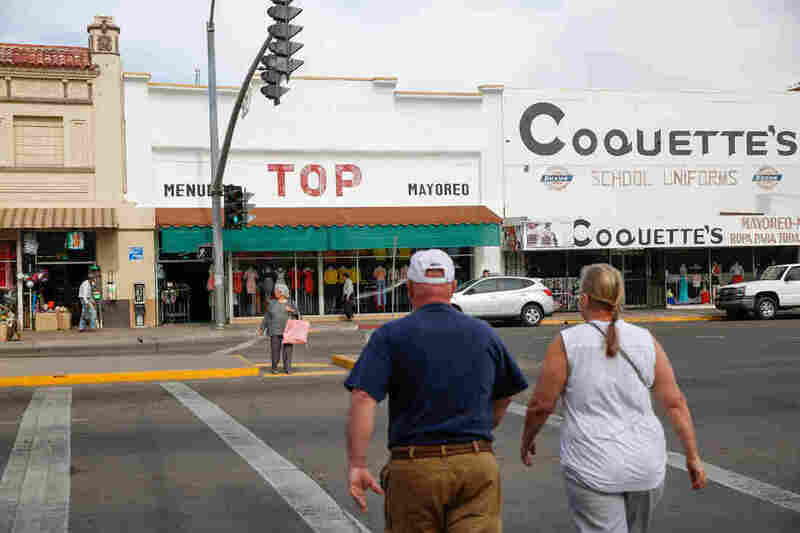 Nogales, Ariz., is less than a tenth of the size of its Mexican counterpart: about 20,000 people compared with 250,000 on the Mexican side. The border wall separating the two cities named Nogales extends for about 10 miles. It's made of rusted steel tubes reinforced with concrete — with steel plates on top. In both directions, cross-border excursions are a normal thing. If you live on the Arizona side, you just take a short walk to the crossing, follow the small sign with the red arrow that says "TO MEXICO," pass through a turnstile, and there you are in another country. One of the first things you'll see is the border wall stretching between the two countries. In Nogales, it looms 18 to 30 feet tall. It's made of rusted steel tubes reinforced with concrete, with steel plates on top. There are 4-inch gaps between the bars, wide enough for people on opposite sides of the border to hold hands through the openings. 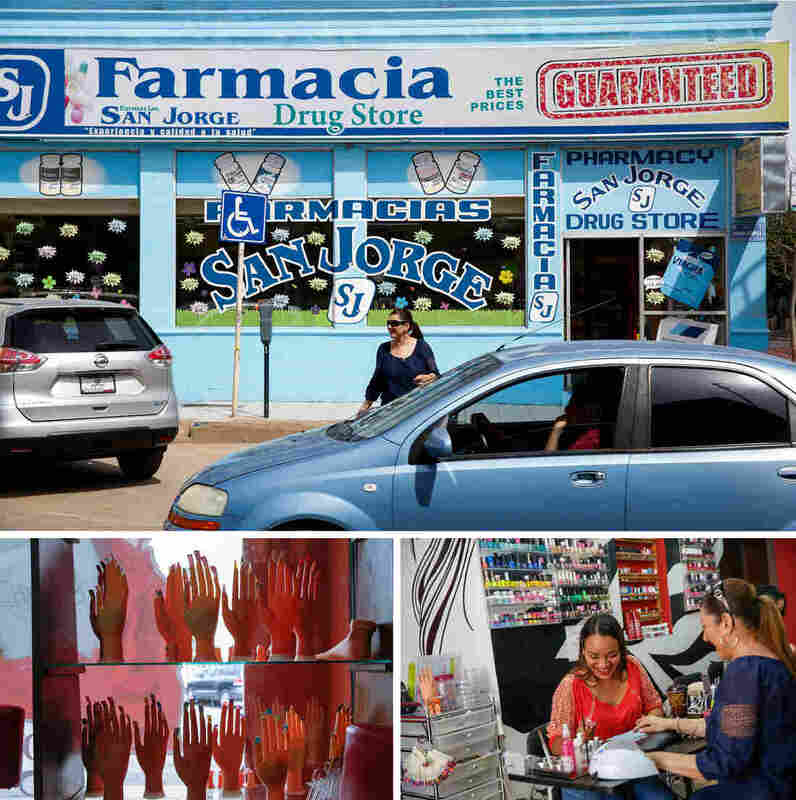 Walk just a bit farther into the city, and you'll find pharmacies, salons and dental clinics offering services at a fraction of what they would cost in the U.S.
At a nail salon a couple of blocks away from the border crossing, I meet Delia Garza. She has walked across the border on her day off from her job at Walgreens in Nogales, Ariz., and tells me she comes to Mexico all the time because it's so much cheaper: 100 pesos for a manicure, or about $5. Dental clinics are in profusion on the Mexico side, offering the gamut of services: root canals, braces, implants, cosmetic dentistry. Outside the Smile Dental Care clinic, a sign promises customers they can "SAVE UP TO 70% COMPARE TO THE USA," and lists a dozen U.S. dental insurance companies whose plans the clinic accepts. In the Smile Dental Care waiting room we find Adriana Guerrero, 23, who has driven an hour south from Tucson to get her braces tightened. The price she was quoted for braces back home was $5,000. Here in Mexico? $1,600. Her husband's mother lives on the Mexican side, so Guerrero can bring their baby and combine a braces tune-up with a visit to Grandma. When we walk back across into the U.S. (just a few of the nearly 3.5 million pedestrians who will cross into Nogales, Ariz., each year) we find Trinidad Leon in a shoe store, shopping for her grandchildren. She walks across from Mexico looking for bargains on the U.S. side, often at Wal-Mart — shoes, clothing, certain groceries — "every day," she says, laughing, "if I have the money!" Liliana Figueroa and her son Alexander, 12, walk their pug, Michelle, back across the border. Michelle was in Mexico for a visit to the vet — for some stitches to mend her torn lip. 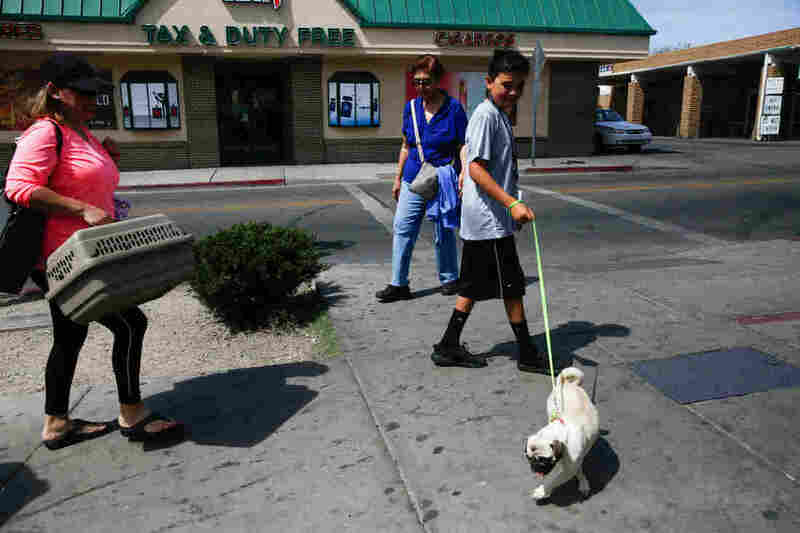 And down the street, there's another border crosser: Michelle, a frisky pug dog, who has just been let out of her crate by 12-year-old Alexander Figueroa. He explains that Michelle got in a fight with a bigger dog back home in Tucson and needed stitches to mend her torn lip. The Tucson veterinarian was going to charge the family $675. In Mexico? "It was like 600 pesos, which was around $30," Alexander says, "and we got her stitched up and everything, and it was a great deal." "And a shower!" his mother, Liliana Figueroa, chimes in. "A free shower. She's cute now, very cute and clean, and she's ready to go home." 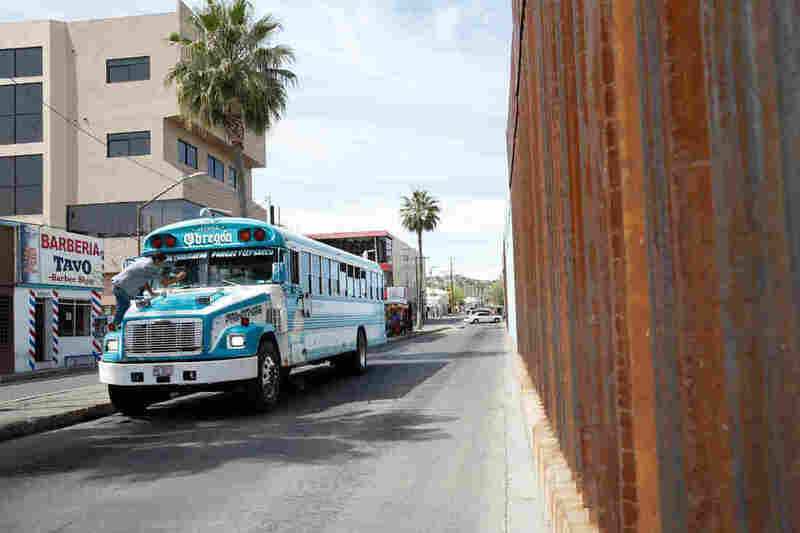 The border wall separating the two cities named Nogales extends for about 10 miles, and in that stretch there's one crossing that doesn't require a passport. That's where we meet Juan Manuel Fleischer. He is a cattle broker based in Arizona, and the day we meet, he is waiting for the latest herd of cattle he bought in Mexico to cross into the U.S. through that border gate. Cattle careen down the dusty hillside and are funneled into pens on the U.S. side. "A thousand, 1,500 head come in here every day, and they leave every day," Fleischer says. High above us, the steel gate creaks open. 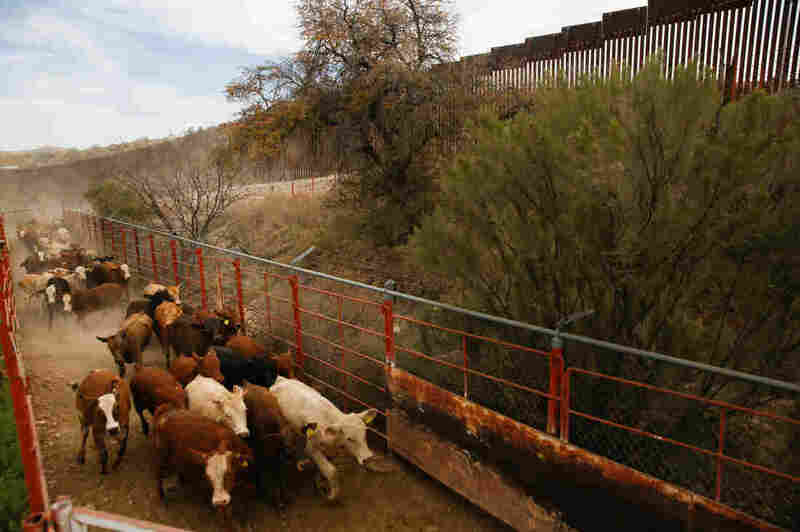 Cattle start careening down the dusty hillside and are funneled into pens on the U.S. side. U.S. Customs and Border Protection agents are standing by with clickers, counting off each one as it lumbers through. 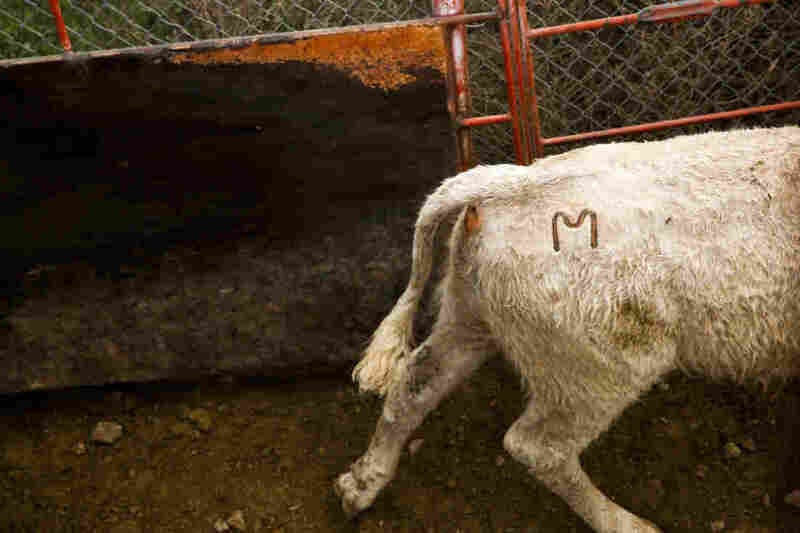 All of the Mexican cattle are branded with an "M" on their right hip. Fleischer will be shipping his to California and Texas. All of the Mexican cattle are branded with an "M" on their right hip. Fleischer was born in Nogales, Ariz. His wife was born in Mexico. "We're all intertwined here on the border," he says. He sees his own identity as an easy blend. "I'm a Mexican-American," he begins. "I'm Latin. I'm white; that's what they make me sign [on] the papers. Yeah, I'm a Mexican-American from the border." Fleischer's family lived here when all this land was part of Mexico. 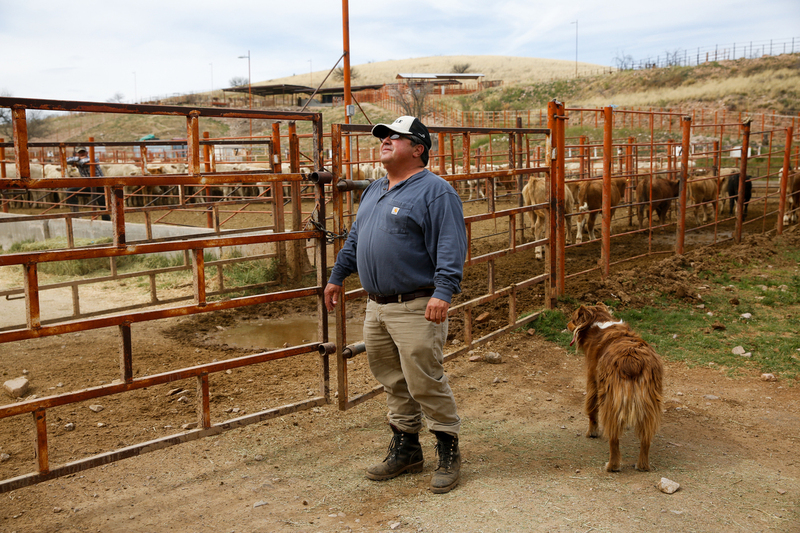 Juan Manuel Fleischer, a cattle broker based in Arizona, watches for the herd of cattle he bought in Mexico to cross into the U.S. In fact, when the United States didn't even exist. He can trace his lineage in this part of the world all the way back to the 1500s, to ancestors who came from Spain and Portugal. When he grew up in the 1960s and '70s, he recalls, the border was open. "Oh yeah," he says. "You could cross with nothing before. You didn't need passports. People knew each other. Mexican people could come back and forth. You know, [at] customs, you say, 'Hey, I'm just gonna go get stuff at the grocery store ...' Yeah, it was different times." Over time, the Nogales wall has evolved and grown, from a simple barbed wire fence to this latest version, put up in 2011. "I don't like the wall," Fleischer says. "I think it's ugly. But as far as leaving no wall and no vigilance? It'd be ridiculous. We're just looking for trouble." Still, Fleischer flatly calls it "stupid" to think the wall stops drug traffickers. 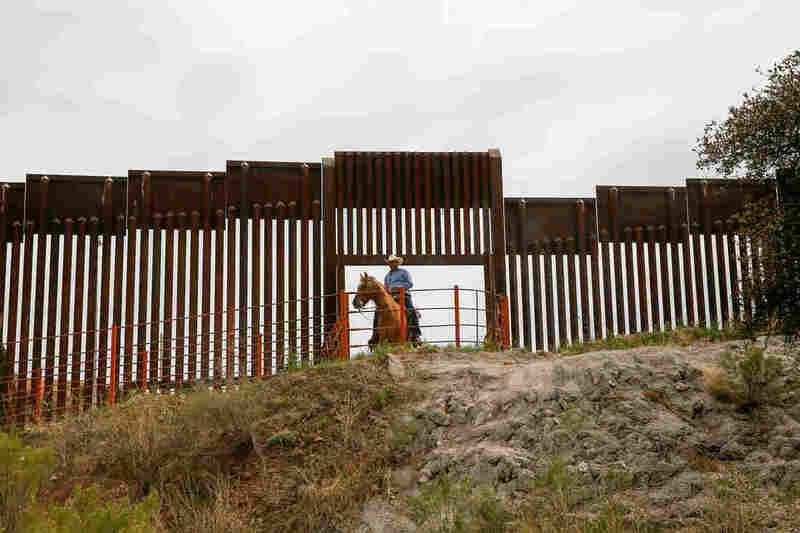 An opening in the border wall for cattle to move from Mexico to the States. Arizona has just three cattle ports along its entire border. He gestures to the barrier high above us. "You'll see people just hop over that fence with loads of dope on their backs and risk the cross," he says. "It happens a lot. They get a little ladder and they get up there. These are agile kids." "I couldn't do it!" he adds, laughing. "It'd scare the hell out of me to get up there!" Fleischer pauses to reflect on the relative dangers this border poses. "I guess what I would tell people that aren't from the border is, we aren't in any risk of being invaded by drug dealers or terrorists or illegal aliens. The fact that they can cross through here is just a fact." This land, spanning two countries, is close to his heart. "I love the fact that I can live on both sides of the border and be OK with that," he tells me. "I think it's a fair deal." "And," he concludes, "I think we're fortunate as a country to have a country next to us that is our friend. It could be a lot worse." The "Our Land" series is produced by Elissa Nadworny, with production help on this story from Anjuli Sastry. Thanks to Arizona Public Media/Tucson and the Fronteras Desk at KJZZ/Phoenix for research assistance. The sun sets over Nogales, Ariz.